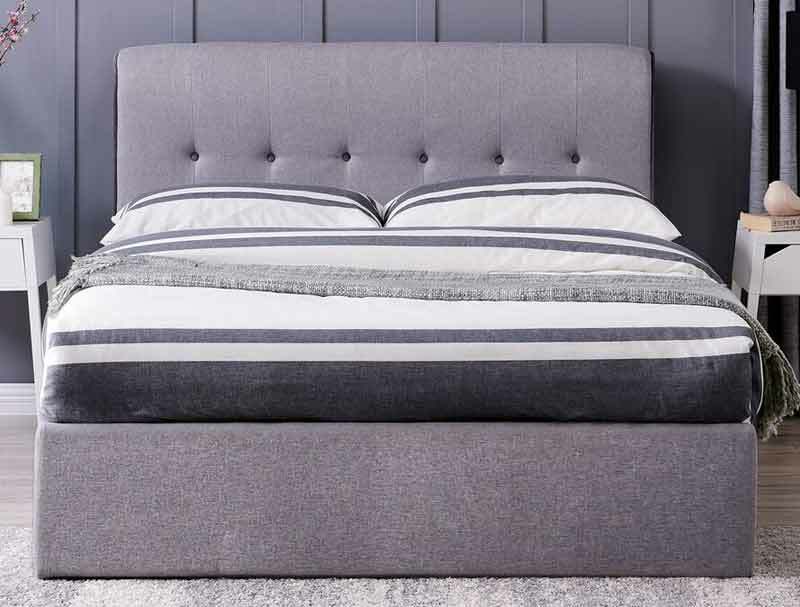 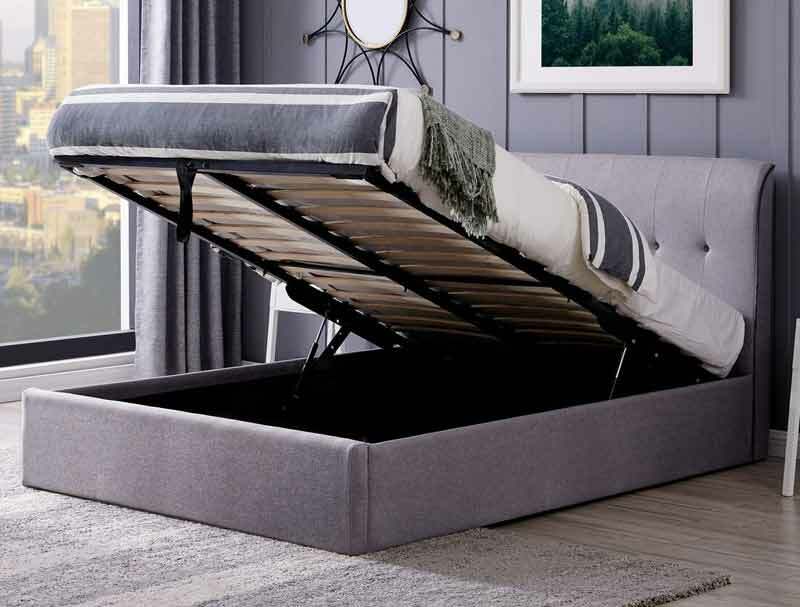 The Carmel is a new and very stylish fabric ottoman bed frame looks great , it is covered in a grey linen style fabric and has plush piping around the buttoned headboard for a contempory and distinctive new look. 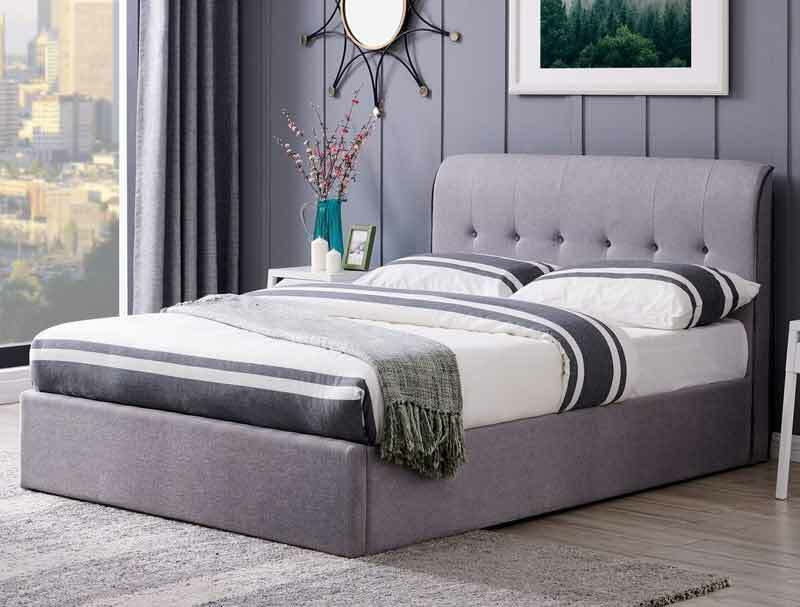 The Carmel has a low foot end and a rounded top to the headboard , it is available in 2 sizes double and King size and is available for delivery from 10th november 2018 . 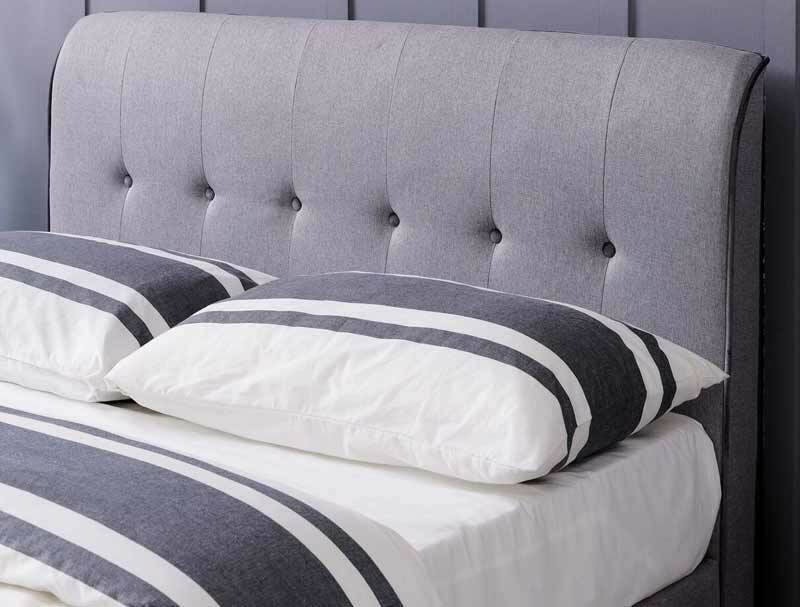 Please Note Flintshire do not deliver above the scottish border so if you order a frame it will have to be delivered to our delivery company and then we will deliver to you , the cost to all scottish postcodes and postcodes on the border is £40 and will take 7-10 working days , other postcodes that will incur a charge are LL, TR, PL, TQ IM, or Isle of Man , there is no delivery available to Northern or Southern ireland or Channel Islands.